Volcanic activity has created a number of North Island waterfalls. 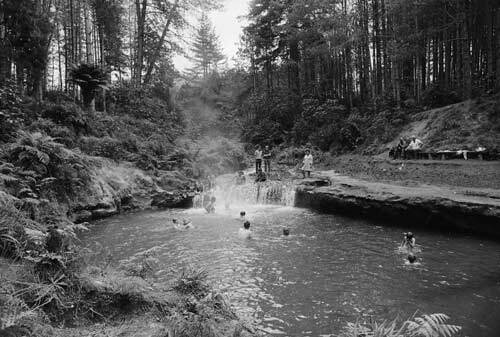 A popular spot is the falls at Kerosene Creek, where bathers come to enjoy the hot water pouring over an old lava flow. Kerosene Creek is near Waiotapu, about 30 kilometres south of Rotorua.